For someone like me who has a tiny budding business, having WiFi access is something that matters a lot. When I go to a cafe or restaurant, the expectation that there will be WiFi available is high. In the Philippines though, this is not the case which is why I actually have a data plan so that I can have access to the internet anywhere I go. After all, being a social media manager requires me to always be connected wherever I may be. Thankfully, Globe recognizes this challenge that people and businesses have and came up with the perfect solution. Yesterday, Globe launched the WiFi hub. 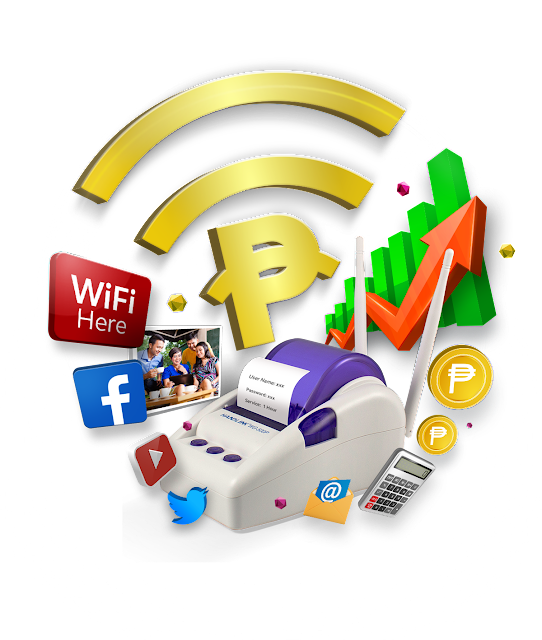 "The myBusiness WiFi Hub, a new package that allows businesses to earn more by offering customers access to a WiFi connection. Establishments will be able to offer WiFi for free or for a fee, opening up opportunities to attract more customers and at the same time, earn from this additional revenue stream. Customers can opt for the Plan 1899 with speeds of up to 5 Mbps for a DSL or LTE connection. It comes with the WiFi Hub, alongside a Globe DUO number that allows unlimited calls to landline and Globe/TM numbers, and a dedicated after-sales support. The WiFi Hub has a built-in printer to generate and print individual log-ins and passwords for customers for better security and management. It comes with unlimited PINs to service more customers at no extra cost and without the inconvenience of purchasing a new set of pins each time. The WiFi Hub can serve up to 20 simultaneous users and business owners can modify access to either time- or volume-based internet connectivity. The WiFi Hub is a secure connection and is not prone to abuse by non-paying customers. The WiFi Hub is also an affordable add-on to existing Globe myBusiness broadband customers at only P299 per month for 24 months & can be availed on broadband plans starting at Plan 1599 for up to 3 Mbps to Plan 4299 for up to 15 Mbps. Globe myBusiness continues to provide SMEs more opportunities to put their business on the map and ultimately serve more customers by making business solutions more accessible. Solutions include business websites, marketing tools, inventory and asset management systems and Google Apps for Work. Other solutions are also available designed to maximize profits through services like Globe Charge credit card terminals, vehicle trackers that boost efficiency, CCTVs for full visibility on assets such as store front and employees, and large format displays (LFD) that aid in additional business advertisements. To know more about Globe myBusiness products, visit www.mybusiness.globe.com.ph or email mybusinesscare@globe.com.ph. You can also follow the official Globe myBusiness Facebook page and on Twitter: @GlobemyBusiness or call its dedicated hotlines at (02) 730-1010 in Metro Manila and Luzon, (032) 401-1010 in Visayas and (082) 321-1010 in Mindanao."